Marketers often wish there was a one-stop-shop for gaining new customers online. We wish there was, because it would make our work at Dion Marketing a lot easier. Unfortunately, it takes a lot of work to spread the word about your business or product. At Dion Marketing, we are preparing to attend the upcoming International Association of Amusement Parks and Attractions’ (IAAPA) Annual Convention and Trade Show. In today’s tech-savvy world, your businesses’ success relies on customer interactions via the internet. Likes, follows, clicks and comments are how your customers and competitors determine the validity of your organization. What makes your customer follow you and engage with your content? With October coming up, the possibilities for promotion are endless. You can create relevant promotions with fall themes, Halloween and Thanksgiving. The power of promotion is spookily strong and can make any business scarily successful. Evolution of Fun in the 904! Happy 904 Day from Dion Marketing! 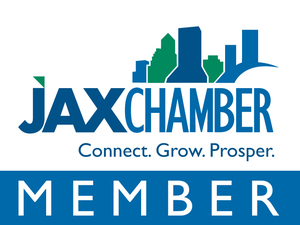 Since we specialize in marketing for attractions and amusement destinations, today is the perfect day to explore Jacksonville’s history of FUN and how it has evolved over the past 125 years! Google recently announced a complete rebrand of its advertising products. Google AdWords, which launched almost 18 years ago, is now becoming Google Ads. A lot has changed in the last 18 years, including the evolution of digital marketing and the success business are getting from digital advertising. It's almost summer time which means that it’s time for you to shape up… your marketing campaign! Summer presents a lot of opportunities to draw in business both new and old, between holidays, schools being out of session, and increased tourism. The new year means a whole new set of opportunities for your business to grow, but sometimes it can be difficult deciding where to start. That’s why one of the most effective tools for any business is a detailed marketing plan.